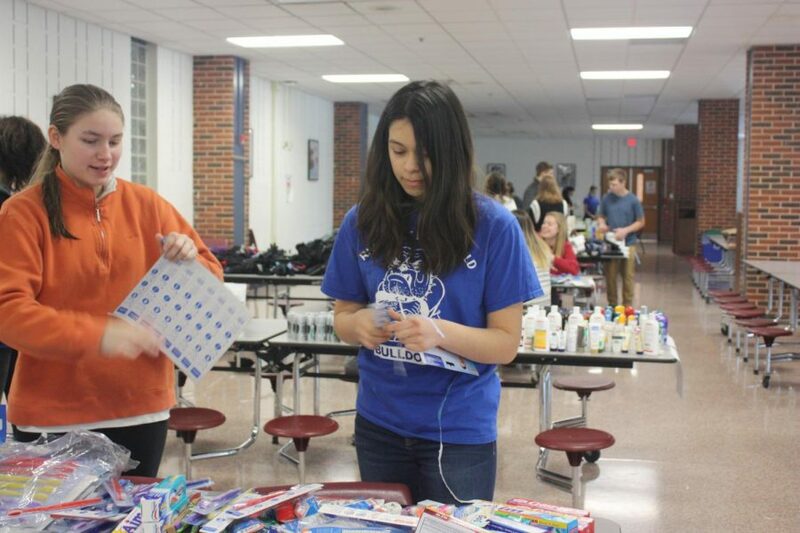 Seniors Megan Sroka and Stefani Gonzalez volunteer at the MLK drive. On January 21, 2019, the RBHS cafeteria filled with the sound of rustling boxes, quiet murmurs of the volunteers, and the clear voice of Cristine Kawiecki as she answers questions and gives directions to idling volunteers. Neat piles of meticulously counted hats, socks, and gloves line one table. On another, soaps, deodorant, and pre-wrapped food are organized into pristine rows. The organized hygiene products, clothing, and food are soon divided into drawstring bags, where they are neatly stacked in boxes, waiting to be shipped off. The MLK Food drive was hosted in collaboration with the National Honor Society and the Parent Teacher Organization. It was hosted due to the belief that there are few opportunities to volunteer in RBHS. Cristine Kawiecki, the organizer of the event, believes that it’s important to give back on such an important day. The kits being assembled here will go on to benefit homeless organizations like BAGS, Housing forward, and the Community Presbyterian Church, who provide shelter for the homeless, as well as a meal and ways to help them get back on their feet. Excess food and kits will be given to food pantries such as the Riverside Food Pantry and the Broadview pantry for homeless veterans. The kits will also be given to local police stations. “They will get a smaller amount, like five to ten each, just to have on hand as their officers are out in the community and if they see people in need, they can distribute them,” says Kawiecki. A few extra bags will be distributed by hand to some homeless people around Chicago by Kawiecki and her son Joe themselves. There are plenty of groups that need help this winter, but Kawiecki feels that the homeless are the most affected by the weather and winter conditions. “There are a lot of groups that we could have helped for a day of service- obviously, the spring [day of service] helps the community… being in January, we figured homeless people really needed the help due to it being winter, and items like the ones in the kits can be better than cash in some circumstances,” said Kawiecki. The volunteers working during the MLK drive felt like they were doing something that would directly impact their community in a positive manner. 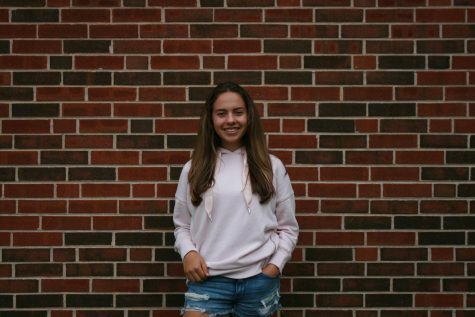 “It’s just really good to give back- we have this day off for an important reason, so it’s important that we do something that benefits the community,” says Sophia Ramirez, a volunteer and member of the NHS executive board. “I was debating whether or not I should wake up so early for this, but now that I’m here I’m really glad that I did. 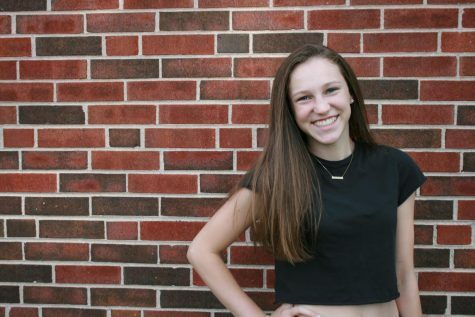 It’s really nice to know that we’re able to help like this,” says Róisin Maloney, a freshman volunteer at RB. If you want to help your community, but are unable to host or attend a drive like this one, you can assemble a few of your own homeless kits to help someone living on the streets in your community, if you ever see someone who looks like they need the help. A hat, gloves, some socks, hygiene items and healthy, filling snacks can go a long way for someone who’s struggling in the cold.